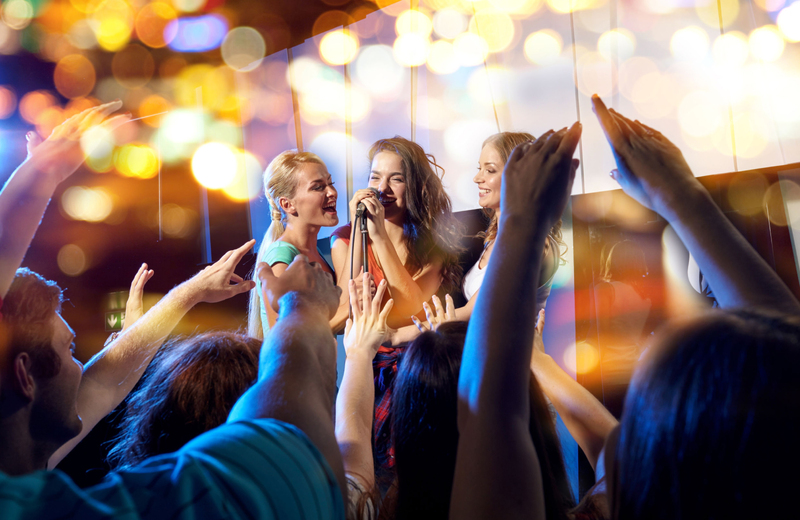 When you rent an apartment in California, particularly in the San Pedro area, you’re definitely going to want to enjoy some entertaining and sensational things to do on New Year’s Eve in the vicinity of your amazing city. Finding the best things to do to celebrate New Year’s Eve is not always going to be the same for everyone. Some people may really enjoy the nightlife and want to spend their evening in one of the hot local bars or clubs so they can ring in the new year with other like-minded revelers while enjoying champagne, beer, and their other favorite alcoholic beverages. Others may prefer to spend a low key evening experiencing the best fine dining establishments in the community. Still others may have a different plan entirely. With that said, we’ll take a look at some of the best New Year’s events in San Pedro, California and the surrounding area. More important than anything else, we’ll provide information about different choices to help you easily make your decision. The best part about spending New Year’s Eve at the Terranea Resort in San Pedro is that they take New Year’s Eve and make it really classy again. So if you’re looking for a sophisticated, refined, high end New Year’s Eve celebration, then you’re definitely going to want to check out the big bash they’re hosting at this resort on December 31. For starters, the New Year’s Eve Ballroom Family Dinner kicks off at 7:30 PM for the first seating. They’ll also be seating people at 8 PM and 8:30 PM as well. The food is going to be absolutely divine and they can satisfy even the pickiest global pallet. They will have a wide range of culinary delights including Chinese dim sum, build your own Mexican sopes, and a fantastic selection of Italian pasta. Not only that, they also have a VIP bottle service, an amazing coffee and dessert station, a DJ to entice you to dance the night away to, and so much more. Since this is a hotel and they really care about their customers, they are offering some incredible packages for those who plan to stay at the resort as they enjoy the New Year’s Eve holiday festivities downstairs in the dining hall and grand ballroom. So don’t worry about driving home drunk on the busiest night of the year, because you can stay safe and sound at the Terranea Resort and Hotel in downtown San Pedro. Have you ever wanted a party on a cruise ship on New Year’s Eve? Well, San Pedro residents have the option to take advantage of this mesmerizing event. The Ports O’ Call Waterfront Dining restaurant is making it easier than ever for customers to ring in the new year on South Bay’s best cruise line. This event is going to be truly exhilarating for all involved. The cruise starts at 9 PM and ends at 12:30 AM on New Year’s Eve morning. You’ll get to enjoy fireworks, champagne and other types of alcohol, and there will also be plenty of music and dancing. Or if you prefer a more low key evening, you can always enjoy a fantastic meal and wonderful champagne in the restaurant itself. As you can imagine, they serve some truly delectable seafood and many wonderful American traditional dishes. So you’ll definitely love the ambience, atmosphere, and the great tasting food and alcohol. Plus they have excellent coffee and many wonderful desserts for the kids. So, if you’re looking for something different to do this New Year’s Eve, think about taking the cruise or relish a quiet evening in the restaurant. The choice is yours and we’ll leave it up to you. Next, if you’re looking to try something different this New Year’s Eve, you’re in luck because the San Pedro Town Council is hosting their New Year’s Eve Countdown at Central Park this year. This event is extra special because they are going to have a live DJ, live performers, live bands, and the music is going to be pumping all night long. The great thing about this party in Central Park is that it’s going till the wee hours of the morning. It starts at 9 PM on December 31 and doesn’t end until 2 AM on January 1, 2018. So be prepared to stay up and party all night long with your friends and neighbors in the heart of San Pedro. Don’t forget your party favors, because not only is the live music going to make you want to dance and sing, they’re also going to put on a fireworks spectacular that should really knock your socks off and make this one of the most special New Year’s Eves you ever had. The event is free and it’s going to be completely off the chain, so get ready to have an amazing night as you ring in the new year. For those who love to eat British food and seafood, this restaurant is definitely going to be right up your alley. It’s the kind of restaurant that you’ll truly appreciate. So if you’re looking for a more toned down evening on New Year’s Eve, you could always stop in for a bite to eat with your family members and friends, or have a low-key meal with your significant other. It’s up to you, so take advantage of this incredible British restaurant and all of the delectable dishes they have to offer. New Year’s Eve in San Pedro is always filled with so much anticipation, enthusiasm, and exhilaration that it’s hard to contain oneself on this spectacular night. But you don’t have to wait much longer, because the parties are about to begin in a couple of days, so you should be prepared for a New Year’s Eve that you’ll never forget. Try any of our recommendations and you’re bound to have an unforgettable time.